Thank you for your interest in our Adhesive Problem Solving Kit. 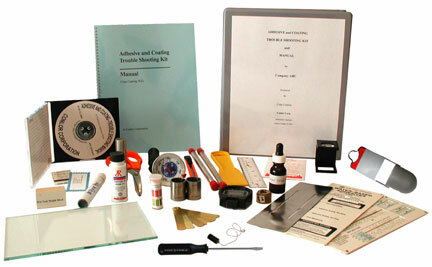 This Adhesive Problem Solving Kit was designed by our Senior Adhesives Chemist. Purchase a kit and receive FREE adhesive technical phone support. The adhesive trouble shooting kit will help you identify the source and resolve all packaging failures, eliminating production downtime by determining root cause of the problem. This kit helps increase knowledge and create confidence in your production and technical staff. 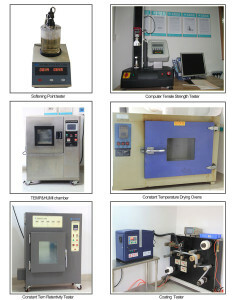 The test methods outlined in the Adhesive Problem Solving Kit manual can be used to set up your own internal Adhesive QC standards for your company. Technical service can resolve adhesive related packaging problems in remote countries or remote plant locations where the cost of flying a technician in is prohibited. • Sales and Technical staff can offer a more consultative sales approach when using the methods, processes and tools in the Adhesive Problem Solving Kit. • By solving problems in front of the client company sales or technical representative is perceived in a different way vs competition as well as reducing customer down time. • Sales people are solving packaging problems not just adhesive problems, resulting in better client loyalty. • This reduces price pressure on what ever the sales person is selling because there is another benefit for dealing with your firm. • This kit can be supplied to your larger clients enabling you to give yearly seminars on its use as a training device for entry-level packaging technicians. • This kit can be used as a common technical link between related industries to minimize finger pointing when problems arise. • This kit provides other non-margin eroding ways to provide top-notch customer service. • Sales people will learn more about their own product line and therefore, talk more knowledgeably and convincingly about it. • Sales people can tailor their presentation in the direction of a trial order by doing the basic screening themselves (machine conditions, substrates etc). • Sales people learn what is needed to make comparisons of adhesives , coatings, substrates ( control sample, problem substrate, pass/fail criteria). • Sales person can identify key decision maker when giving seminar on problem solving . This individual is identified by the type and frequency of questions asked . • Sales people have a response time and problem solving edge over the competition. Pricing: 1 Kit = $650.00 + Frt. $USD. 3 Kits Minimum = $625.00 / Kit + Frt. 5 Kits Minimum = $595.00 / Kit + Frt. 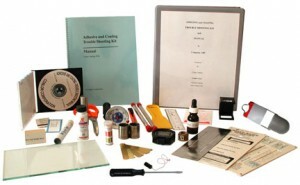 Includes – Complete Adhesive Trouble Shooting Kit (shown above), Detailed Manual, CD ROM , Travel Case. Do you need Technical Support to solve a problem or to find an Adhesive Solution? Take Advantage of our 40+ Years of Adhesives Knowledge and Experience. Please Call now to talk with one of our Technical representatives or Contact Us by email with your requests.